Please stop reading advice from marketing teachers who don’t understand the nature of a Young Living social media presence. Their advice isn’t bad, but it’s not specific to you and your needs. If you’re like most Young Living distributors, you have a Facebook page and perhaps are an admin in a Facebook group or two. But, you may have read somewhere that you need to post in these places several times a day in order to keep your audience engaged (and keep Facebook’s newsfeed algorithms happy). Really, who has time for that? And what the heck do you post? Do you really have that much to say? Deep breath, my friends. If you’ve felt blocked about what to post, how often to post, what time of day to post, where you’ll get the content, and how you’ll find the time to do all this… Just take a deep breath. In my brand-new Crash Course in Planning and Scheduling Content for Your Facebook Page/Group, I give you some general ideas to get your creative mind brainstorming (which you’ve probably read before). Then, I give you specific plans of what to say and how often to say it. Pick the plan that works for your life and your business, and use a social media scheduler to schedule posts in advance. Finally, I give you some solid examples that you can apply to your real life and your real way of doing things, whether you feel you have a “business” or are simply sharing the oils. One of the examples I give could be a goldmine for you, if you apply it on a monthly basis. All you have to do is follow the script. And because I want every YL distributor all across the face of the earth to simplify Facebook content and enjoy their businesses more, I’m offering this crash course for only $11. Go here to find out more and get your copy right now. How do you create content for Facebook business pages and groups? Oh, you can ask Google that very question and come up with 129,432 answers. Almost none of which will apply to a Young Living social media presence, let alone a relationship marketer, let alone someone who has other things to do besides post on Facebook. Sorry to say, finding out how to keep sharing interesting Facebook content on a consistent basis and having fun while doing it isn’t much talked about, especially for you as a YL team leader. But ya know, I’m a marketing teacher who specializes in teaching Young Living folks how to best use many marketing techniques in their actual, real-life businesses. Whatever your goals, there’s a way to get it done. So, if you’re having challenges creating content for your page or group, or staying motivated to post frequently, I can teach you some absolutely sanity-saving techniques that make sense in YOUR business, with the time you actually have available to spend on this activity. OK, look for the complete instructions on how to access this most-needed learning in my post tomorrow. This is some good stuff! What’s the Most Important Thing About Facebook Content? What’s the most important thing about creating content for Facebook business pages and groups? Is it posting 80 percent informational stuff and 20 percent promotional stuff? How about how often you post: morning, noon and night? Five days a week? Only on weekdays? Maybe the most important thing is to never actually suggest to your readers that they purchase products, so you don’t seem pushy and sales-y? That you enjoy doing it. You get a kick out of it. You look forward to interacting with your readers. The most important thing about posting on Facebook is that you’ve built relationships, taught interesting information and held conversations with people who love essential oils. Of course, there is still the question of what your actual content should be as you’re enjoying yourself. The day-in-day-out work of keeping pages and groups alive isn’t easy and does require your creativity and dedication. Tomorrow I’ll tell you a few tips about how to both have fun AND create sensational content in social media. 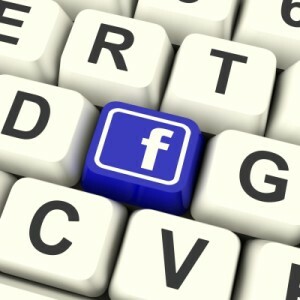 Feel free to share your thoughts about creating Facebook content in the comments below! Why Do People Have So Much Trouble Creating Content for Facebook? I was talking to a couple of members of the North Grove Marketing private group yesterday, and they both told me emphatically, “I don’t know what to post on my Facebook page or in my Facebook group!! !” The frustration in their voices came clearly through the phone line. Facebook tends to stump people who are perfectly capable of creating 1,600-word blog posts, speaking on a topic for 20 minutes or longer, standing up in front of a room of strangers delivering a Young Living class in person, or any of the other myriad things leaders do on a regular basis. Post what? How often? What time of day? What if I only have 213 likes on my page? What if there are only 12 people in my team Facebook group? What if I have nothing interesting to say? What if I get busy for three weeks and can’t post? What if people think I’m dumb? Will this social media thing help me grow a business? I understand where these emotions and confusions and frustrations come from, and I’m afraid it comes from folks Googling “social media marketing” and reading every bit of advice ever offered by any marketing teacher on the internet. Does all that advice actually apply to a Young Living distributor? Does all that advice apply to the beginning network marketing business builder? Does all that advice apply to seasoned Young Living folks who are just getting into social media? If you’re already experiencing social media success, please share your story in the comments below. Others who are still trying to get their feet under them would love to hear your wisdom. If you’re struggling a little (or a lot) coming up with content for your Facebook page or group, please comment on those experiences, too. I’d like to know how best to help you… I’m pretty good at creating content, but I can’t help if I don’t know what your challenges are. 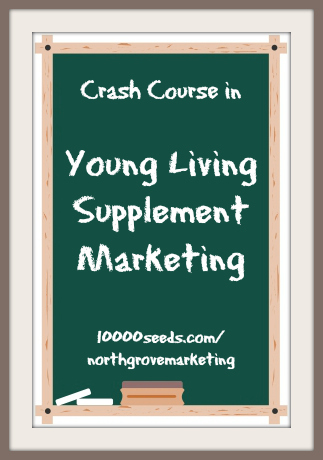 If you’re not a member of North Grove Marketing yet, you can still take advantage of my just-released crash course all about how to promote Young Living nutritional supplements in your business. It’s a 12-page ebook that walks you through the core supplements, gives you a whole bunch of resources to share, and outlines some great research so you can talk confidently about this branch of the YL product line. I put in more than 20 hours looking into this, but you don’t have to spend all that time. It’s all condensed and easy to access, so you can complete your own research in less than three hours.